Our new Roth Snack Cheese is hitting shelves across the country. To celebrate, we’re giving away 100 bags of Snack Cheese to 100 lucky fans. 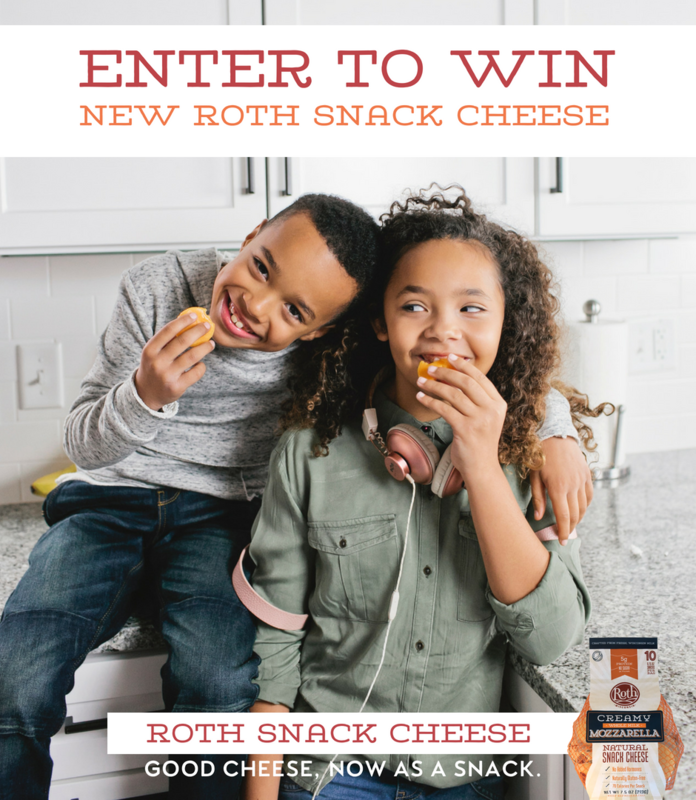 Enter below for a chance to win below and don’t forget to share your Roth Snack Cheese moments with #rothsnackcheese! 10 winners will be chosen at random every Friday from Friday, July 27 – Friday, September 28, 2018 on Facebook and Instagram. Each winner will receive 1 bag of Roth Snack Cheese in a variety of Snack Cheese decided upon by Roth Cheese. Entrants must enter through the widget on the webpage. 10 winners will be chosen each week for 10 weeks through September 28, 2018, totaling 100 winners. Entry period ends Friday, September 28 at noon CST. Find Roth Snack Cheese at a grocer near you.